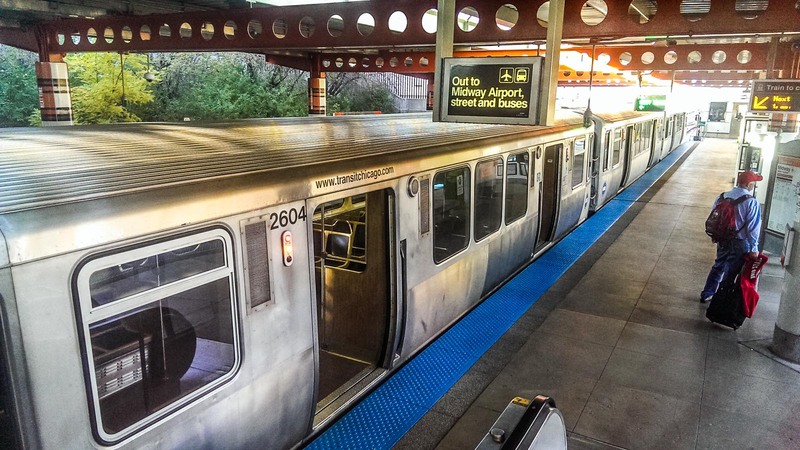 Nothing gets me more excited than using public transportation to improve quality of life! I believe transit has the capability to transform our cities into more friendly and functional urban spaces. As a software engineer and student of urban history, I am working to move this service forward. Check out my casual vitae and projects to learn more. 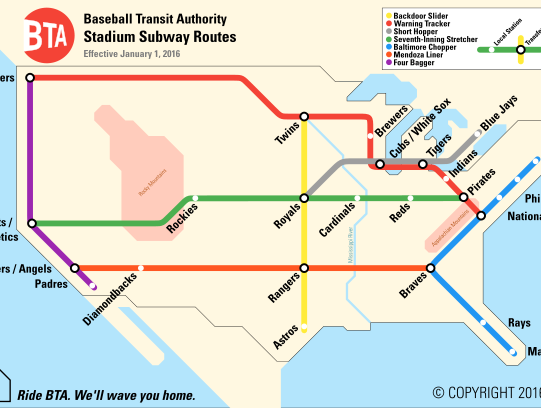 Have ideas or projects about transit to share? Let me know! Casual Vitae. It's not your professor's vitae. Projects. See what I'm working on. 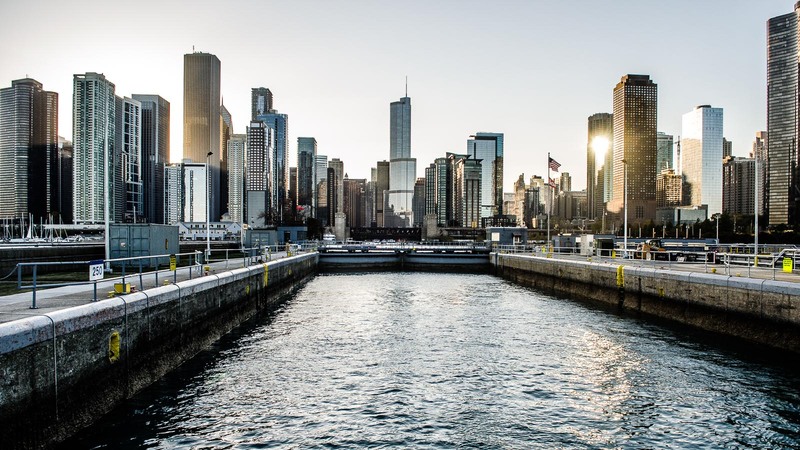 Click on each project to learn more! The result is a Node.js library which accepts a series of Markdown-based notes and outputs the grouped and sorted notes. The result is browseable on GitHub or through a docs integration (I used GitBooks). notetime is on npm and GitHub. I am actively using it to compile my urban history notes. Being new to New York City, I decided to study the history of the MTA subway fare. 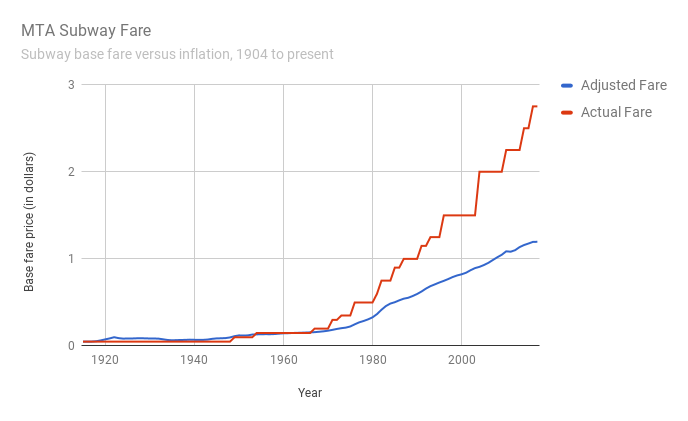 I ended up collecting the New York Times articles from every fare increase since 1904 and writing up a summary of what I learned. Check out my notes and the finished post. 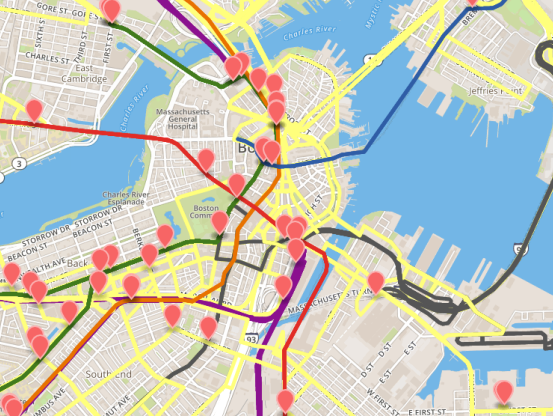 After implementing basic graph algorithms on the New York City subway network, I began exploring centrality metrics on the New York City, Boston, Paris, and Washington, DC, subway networks. 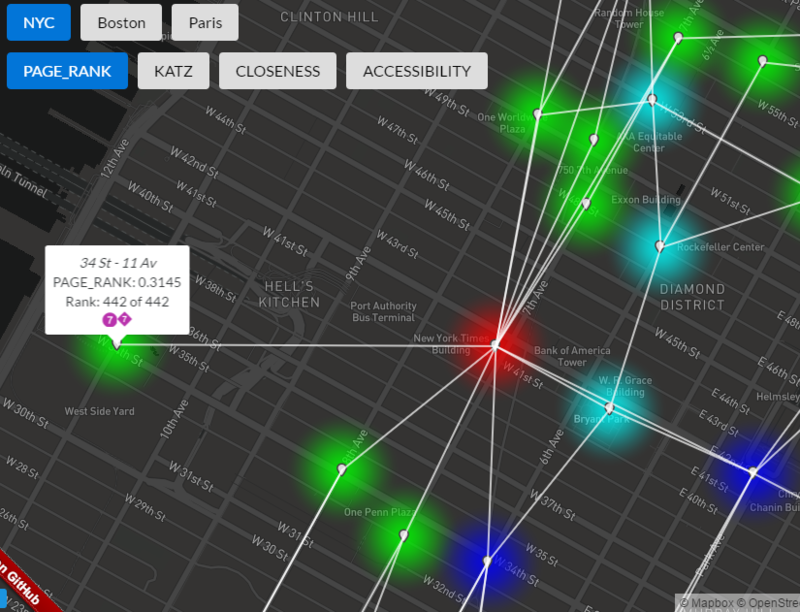 This lets us see what are the most important stations in the network and compare network structure across cities. Check out my blog posts (first and second) on the centrality adventure and check out the results in the web app. While reviewing algorithms during a round of interview prep, I realized it would be fun to implement graph algorithms on a transit network! 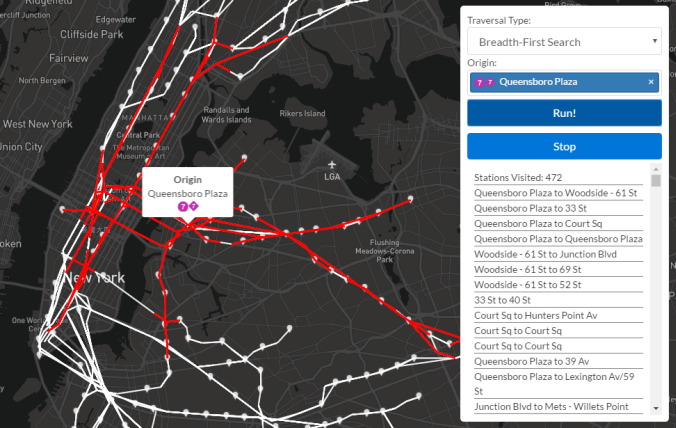 Check out my blog post and web app about depth-first search, breadth-first search, and Dijkstra's algorithms visualized on the New York City subway network. 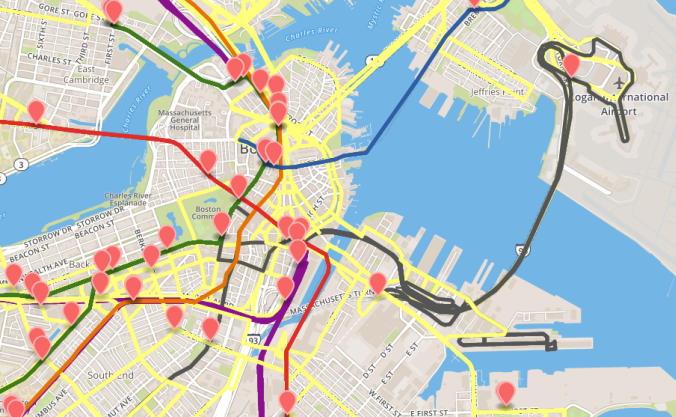 Wanting to familiarize myself with the GTFS-realtime specification and Node.js applications, I created a realtime map of Boston transit! You can read the full explanation on my blog. The code is available on GitHub! 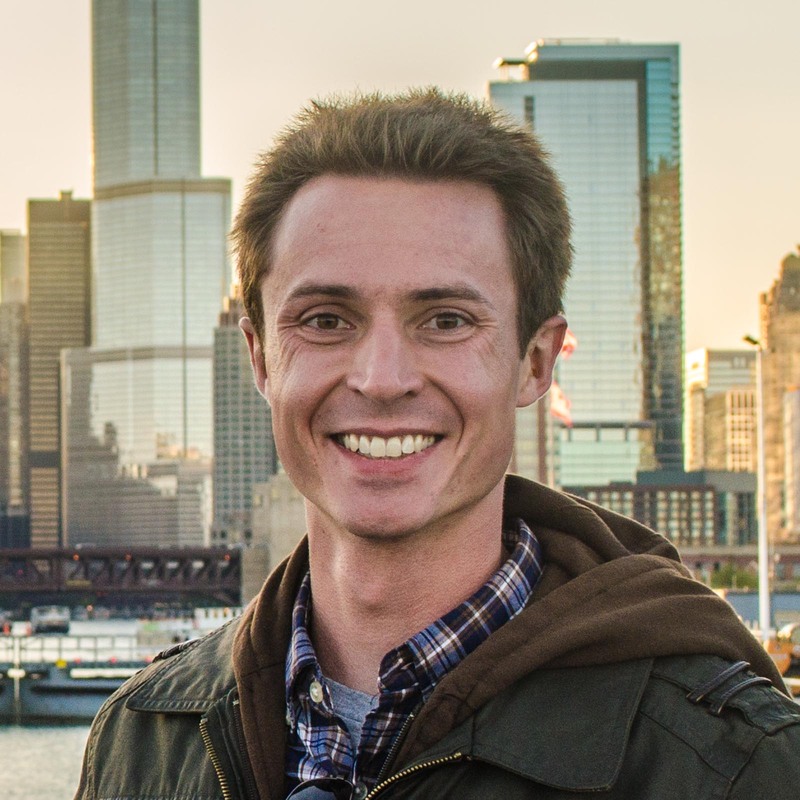 I tackled two birds with one stone on this project: 1) I learned the basics of creating and publishing my own Ruby gem, and 2) I implemented a simple algorithm to convert a GTFS feed into a GeoJSON file. I hope to be able to use this subproject in a larger transit visualization in the future! You can read the full explanation on my blog. The code is available on GitHub and RubyGems.org! 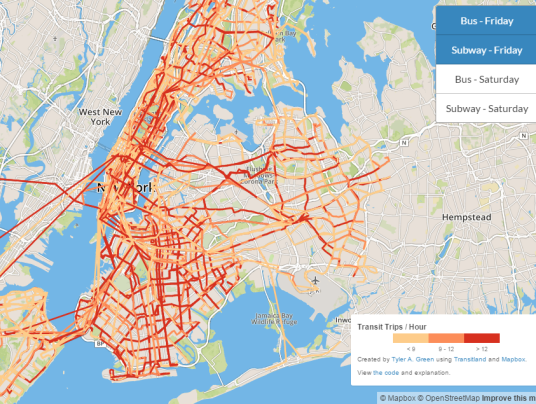 I created a web tool to visualize New York City transit frequencies using Transitland and Mapbox. 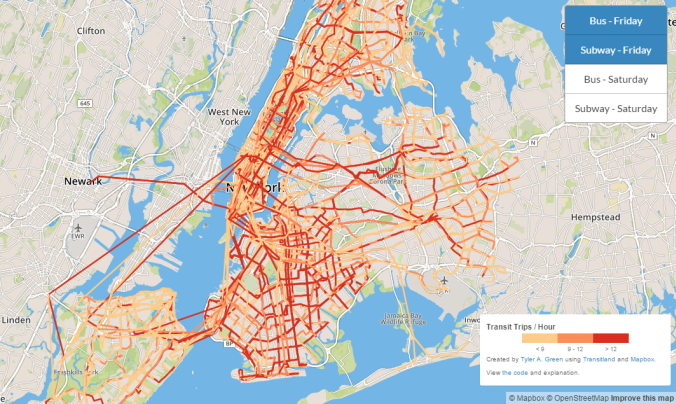 Schedule data from buses and subways (and even a few ferry routes!) is plotted for an example Friday and Saturday morning. You can view any of the layers together to understand differences in service between modes and days. You can read the full explanation on my blog. Feel free to explore the web tool itself! I developed a basic social network around stadium travel in an effort to learn PHP and MySQL. As you will notice, I had not yet learned how to make a website look decent in the slightest. 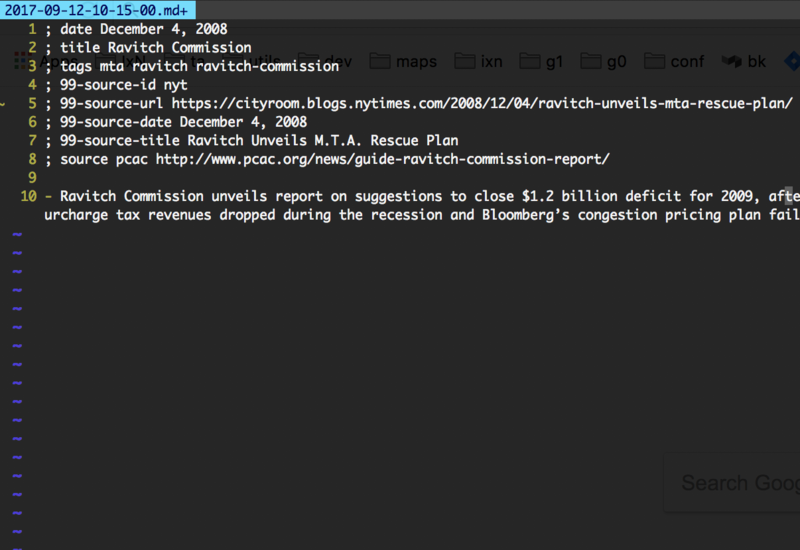 Stadium Fanatic was my first foray into web programming and was critical to my understanding of the modern web. Even better, it sparked my passion for stadium travel. 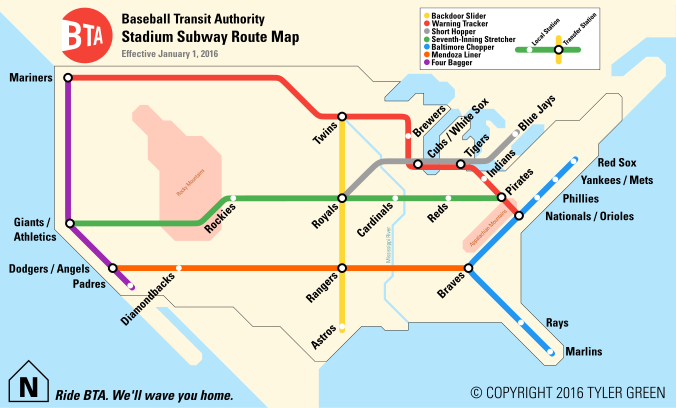 I would not be well on my way to visiting all 30 MLB ballparks without this formative project! The site is no longer on the web, but below is a picture of it in its prime. 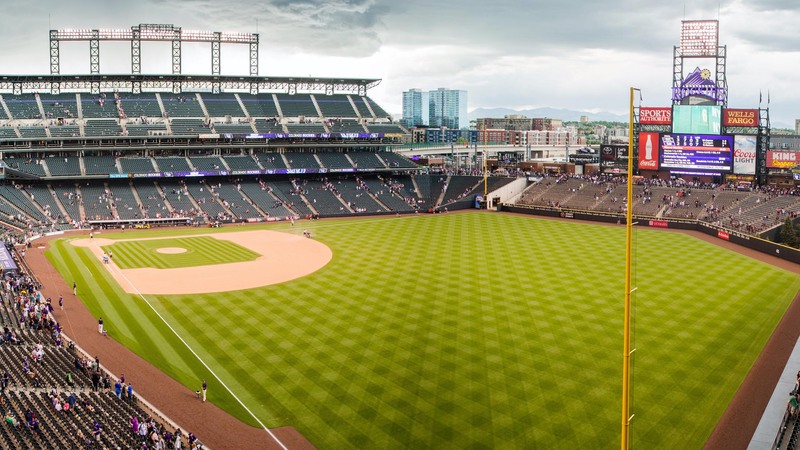 I like baseball. I like stadiums. I really like transit. What better way to combine these interests than by learning vector graphics? Click here to read my full summary and download the map as a PDF. And, as always, let me know about any recommendations you may have! Aware of its applications to transit and urban planning, I learned the basics of Geographical Information Systems (GIS). I created the map below using QGIS and Inkscape. 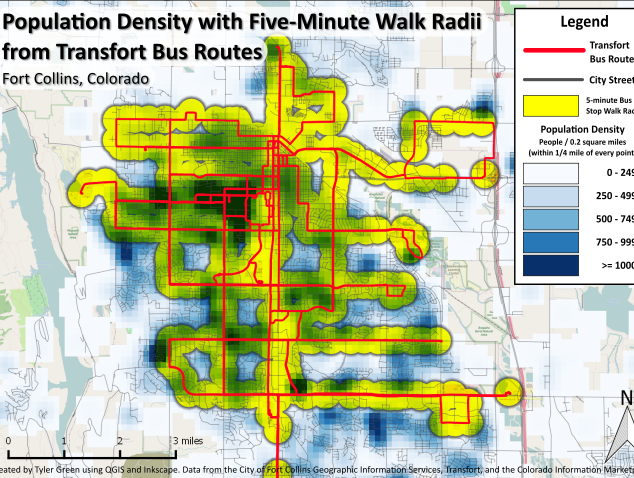 Read about my study of the Transfort bus routes in Fort Collins, Colorado, in the full blog post! Let's discuss how we can work together. Or just chat. I enjoy both. "The bus stops here." - Harry Truman, probably.